I live in Kisii, Kenya serving as a development worker and missionary. I train, mentor and empower struggling entrepreneurs and mentor vulnerable kids in my community. Poverty and suffering alleviation are passions of mine. My formal education and prior work experience is in analytical chemistry, data analysis and interpretation. Since my career change in 2015, I’ve been filling my head with knowledge on poverty alleviation, economic development, leadership and I’m working hard to become fluent in Swahili. If you really want to know what’s going on with me and with my projects, you should really subscribe to my newsletter. That’s where I give most of the intimate details. Much of what happens is not published online. If you pray and want to learn of the prayer needs as well as real life stories of some of my African friends, I encourage you to join the prayer team. If you want to see encouraging posts or random information relevant to Africa and poverty alleviation and even trash reduction, then definitely like my Facebook page! Or, better yet, do all three!! 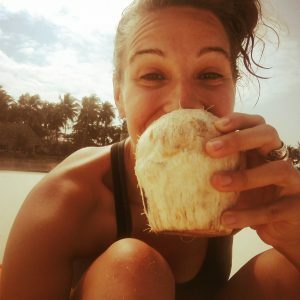 I first went to Africa for 6 months (Liberia, Uganda and Kenya) volunteering with many organizations and doing different kinds of activities in different kinds of places to try to learn where my fit was. After a 9 month stint back in Nebraska, I got a one way ticket to Kenya and have been living in Kisii, Kenya since March 2017. Kisii, Kenya is a bustling medium sized town (about 300,000 people) in Western Kenya, set amongst the hills. You can read about Kisii on Wikipedia here. My hope is that I’ll stay in Kenya for many years, but right now I’m just taking things as they come. I survive 100% on donations. 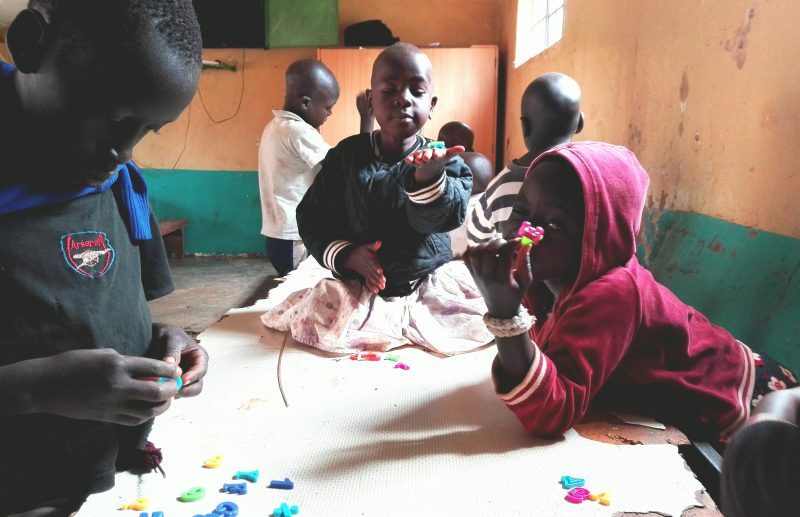 If you like this cause and look forward to seeing transformation in poor families and the lives of family-less children in Kenya, click here to learn more about helping me financially. We all would appreciate it so much!! My name is Laurie Ann Scharp. Although, I answer to Laura, Laureen, Loria and Gloria. I had a dream of living in Africa since I was a child. I went to university, studied chemistry and worked as an analytical chemist for 10 years. I was trying to be sensible and white collared but after 10 years I hung up the lab coat and decided it’s time to go to the place that’s been calling me for decades. December 2015 through June 2016 I spent in Liberia, Uganda and Kenya teaching, exploring and building websites. In March 2017 I moved to Kisii, Kenya. My mission is to share my skills and talents with Africans to help inspire and encourage individuals, families and communities to rise out of poverty. Laurie Goes to Africa is not just about helping Africans or poverty alleviation. 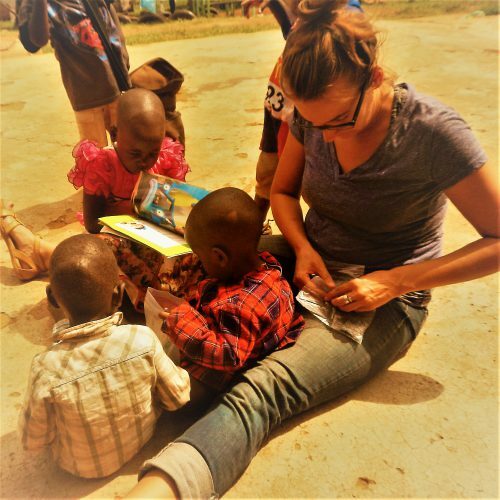 LGtA is not just about a Midwestern girl going to Africa and the beautiful and fulfilling work that can be done when you’re helping other people. It’s about following your heart, your dreams and God in and to the life you are meant to have. It’s about getting organized, keeping your head up when things (and people!) try to derail you from your mission. It’s also about living fluidly to let God push you around the way he wants to push you around and be willing to see new doors that are placed around you instead of having blinders on, walking towards a narrow goal that might not be the right path for you. My connection to Africa is beyond human understanding. I just feel like I’m supposed to be here. I’ve been in love with the idea of Africa and making a difference in lives of those less privileged than myself for a very long time. Once I got to Africa, I was even more convinced that it is where I’m supposed to be. It’s not easy though! It’s certainly a challenge culturally, emotionally, socially and spirituality. But I like to think it’s making me stronger. I am the kind of person that believes that everything happens for a reason and that we each can have great destinies. I am not satisfied living a white bread, cookie cutter life. I am not satisfied making a paycheck for a job that only exists to make myself or others’ money. My skills, energy, time and heart (and everyone’s!) can be put towards something so much more than that. Growing up, whenever us kids said “I can’t do that”, no matter what it was about, my dad’s famous one liner back was “Can’t or won’t?” I believe that we are only limited by our own beliefs about what we can and can’t do. I won’t go into all the different ways that I’ve done something that I originally thought I couldn’t do here, but let’s just say there’s a list! There is no can’t, only won’t. Who else is Laurie? I was born in the early 1980s, love sci-fi, dancing, singing at bars, making crafts, art, websites, love swimming, especially the ocean and love putting smiles on people’s faces.